A snow day is always a treat but after a few days off school, enthusiasm wanes. 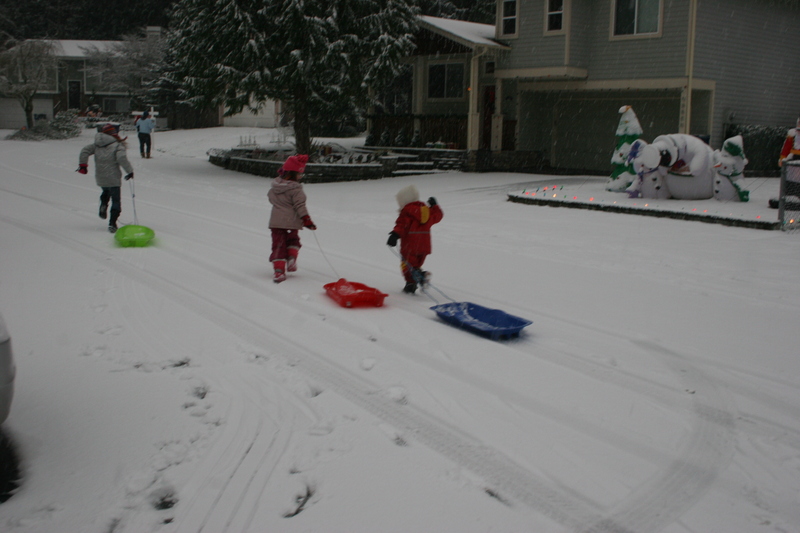 Try some of these snow day play activities to keep your kids entertained. Sledging is always great fun, it was always my favourite snow activity as a kid. You could shake it up a bit with some Winter Olympic themed bobsledding. Lie on your front while being pushed down the hill shouting oy, oy, oy. You could race one another too. See if you can roll a really big ball to make a body. Sometimes kids find this difficult but if you I start it off and everyone joins in to help, it is lots of fun. 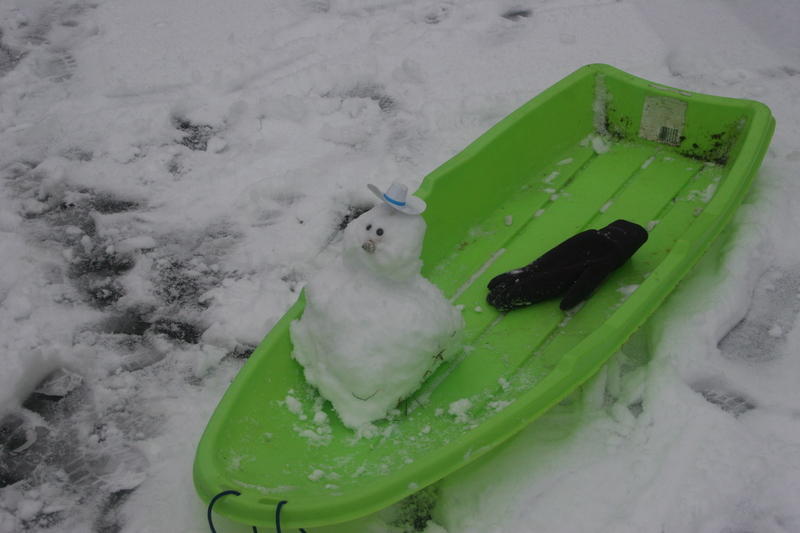 Make a baby snowman and pull it along on a sledge. Add accessories such as buttons, hats and scarves or Mr Potato Head features. Even without much snow you can make miniature snowmen and add an origami hat. Fill glitter sprinklers or herb containers with powder paint. Little ones enjoy sprinkling it around while older children draw pictures in the snow. You could use fingers or sticks to draw and colour them in. 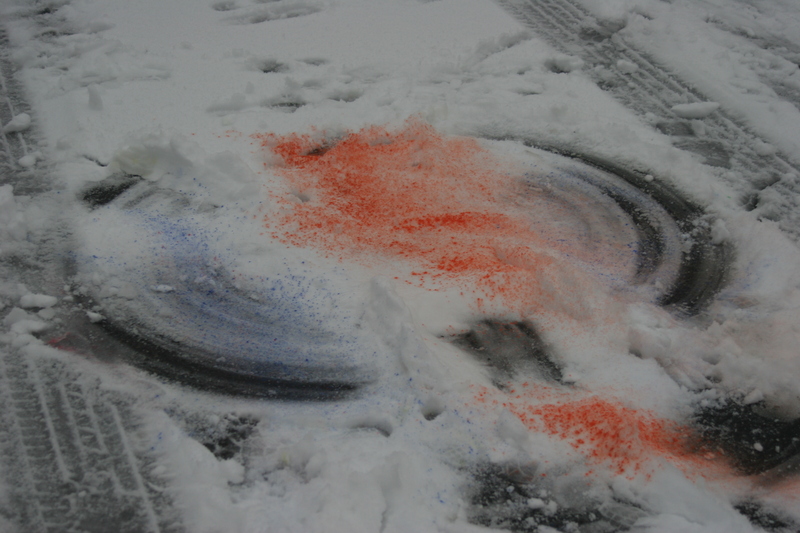 Make a snow angel and colour it with paint. Build a snow sculpture and add colour with block water colours painted on with brushes. You could also paint pictures on the snow. It can be great fun to stage events from the Winter Olympics. Ice hockey, curling, skating and skiing are fun events to try even without snow but with snow on the ground they are even more fun. Visit a frozen pond, make pictures with ice, Go on an icy treasure hunt, make ice ornaments or investigate the properties of ice. Targets could be drawn in the snow, on a fence or a tree or throw snowballs into a tub or box. It would be preferable if the target wasn’t your mother! Lie in the snow and feel it fall on your face.